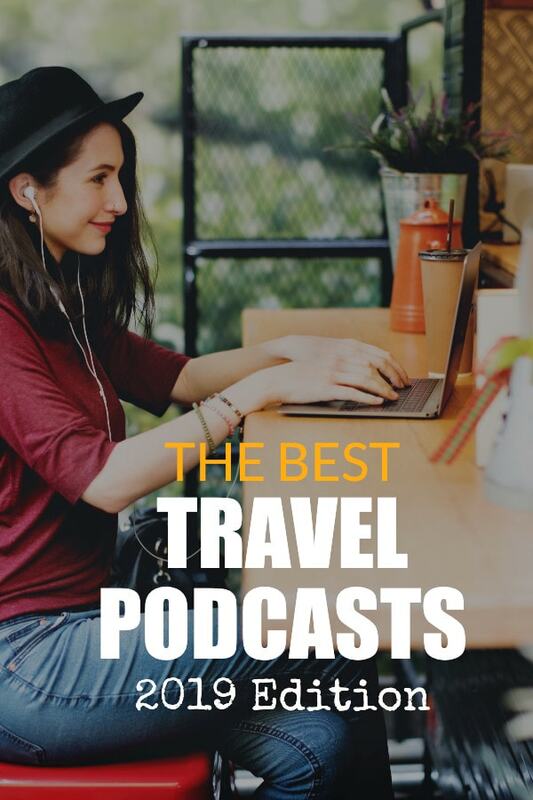 Podcasts are a great medium for consuming travel content. Get destination reports, insider guides, and travel inspiration for long-haul flights, bus journeys, and airports. For people with little time to read or those that prefer the spoken word to the written word, podcasts are great for communicating ideas and as a medium for entertainment. 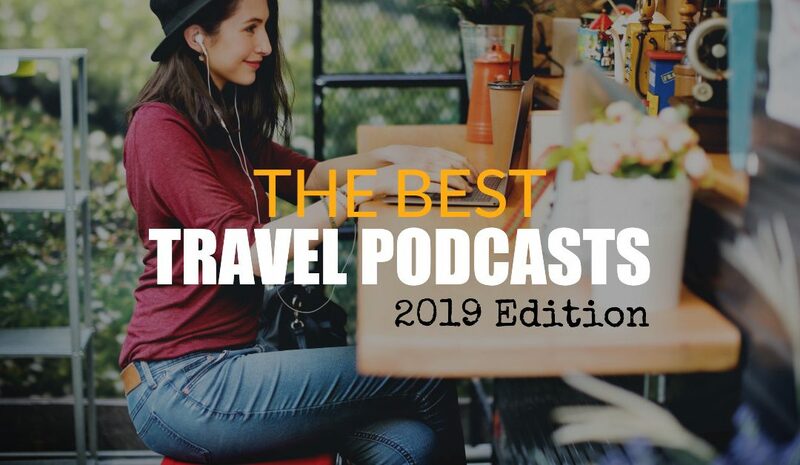 In this article, I present my recommendations for the best travel podcasts of 2019. The year is important – infrequently updated podcasts won’t make the list. Get travel inspiration with these fun and fascinating shows and episodes! I love reading but also enjoy podcasts (I listen to shows daily) as an alternative way to consume content. But I don’t believe they are interchangeable. It’s rare that a podcast transcript makes for a good article and vice versa. They are different mediums and the delivery is unique. But that’s a good thing. Podcasts feel more informal. Mistakes in a show are more easily forgiven than in other mediums and can even add to the “realism”. Digressions are welcome. Destination shows like the Amateur Traveler are great for introducing people to a location. 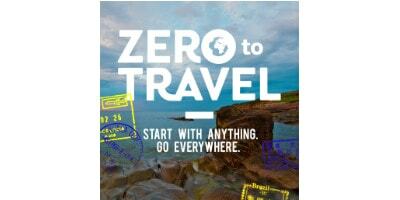 For travel bloggers and industry professionals, Zero To Travel is a great way to learn about other travellers and people in the industry. Shows like Women Who Travel are great for learning about people’s journeys and life-stories. Try using multiple podcast apps. I’m a fan of the Stitcher app, but not every show is available on that platform. Even when I used an iPhone (I’m now on Android Pixel Phone) I hated the (iTunes) Podcasts app but I had to use it for some shows. I currently switch between Stitcher, Castbox, and Google’s own podcast app. With these three podcast listening apps I can find almost every show. A great resource for discovering new shows is Listen Notes https://www.listennotes.com/. The site lets you set up personalised listen alerts so you’ll get an email every time a new episode or show drops with your target keywords. You can also set up Google alerts for mentions of podcast episodes or shows with the keywords you want to track. How some people have created online businesses that allow them to travel and work from anywhere in the world. How to maximise your travel for enjoyment and not just for Instagram posts. For travel bloggers and writers. Some episodes are just travelogues of press trips and sponsored trips. I don’t find these particularly interesting but they might be useful to people who are considering working with companies for free and paid trips. The other episodes, however, are insightful and packed with tips for beginner travel bloggers. For digital nomads, lifestyle design bloggers, and location independent entrepreneurs. Not strictly a travel podcast but one created by travellers and digital nomads. Dan and Ian, the show hosts, started one of the first “digital nomad” podcasts back in 2009 with a show about building internet businesses while living in a (tropical) overseas location. The Tropical MBA is a weekly show which looks at working and living overseas, online business, and lifestyle design with a philosophical eye. The guys started their show to document building their own lifestyle business which they eventually sold. 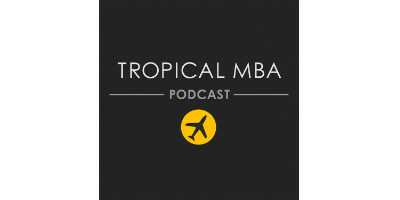 Tropical MBA has loyal following with an impressive number of downloads. Dan, in particular, has excelled as host of the show and these days, the production quality is pretty slick. The guys have talked to some big names in the online space and travel world. Guests include David Heinemeier Hansson, Seth Godin, and Noah Kagan. Johnny FD left his home in the United States to live in Thailand for a while and work as a dive instructor. After a couple of years of doing that, Johnny looked for options for making money and prolonging his time abroad. He discovered the business of drop shipping and hasn’t looked back. 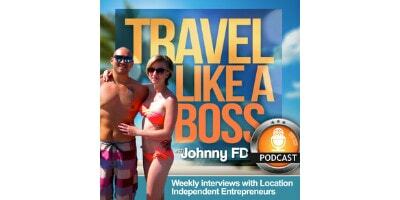 While building his online store, Johnny started recording podcasts to talk about living overseas and working online. Many of the topics on Travel Like A Boss relate to ditching the 9-to-5 grind to travel, finding digital nomad opportunities, and talking to entrepreneurs who have made a life for themselves as location independent business owners. Johnny’s an easy guy to listen to. He speaks his mind and asks great questions. Both of which make for entertaining and insightful episodes. This is one of the best podcasts for location independent entrepreneurs, long-term travellers, and anyone looking to start a business online while indulging in a healthy dose of travel. For people who want the best things to see and do in a destination. My go-to show for learning about a destination. By all accounts, it’s also one of the favourite show of millions of people around the world. When I visited Budapest the first time, I listened to an episode which took the form of an interview with Jennifer Dombrowski from Luxe Adventure Traveller. This really helped me get a feel for the city and an understanding of the best things to do. 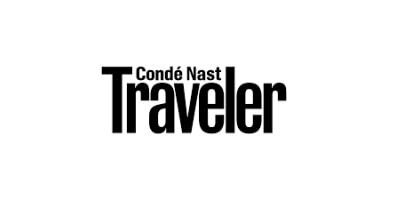 Presenter Chris Christensen started Amateur Traveler back in 2005. That officially makes it one of the longest running podcasts in any genre. The aim of the podcast is to provide the best information for travel planning for the average American who enjoys 1-2 weeks vacation every year. Episodes focus on finding the information that people can use to maximise their time in a destination. I don’t travel like this, but I still get a ton of value from the show. Zero To Travel is a popular show that’s been going since 2013. The topics covered are broad but always of interest to travellers. The host, Jason Moore, is a digital nomad so many of the episodes focus on the the topic of digital nomadism. But out of hundreds of podcasts there is literally something for everyone. Get tips on travelling with kids, touring in camper vans, holistic nomading, finding cheap flights, finding the cheapest destinations, and language learning. For travel hackers and frequent flyers. If you’re interested in accumulating Airmiles and airline points, listen to the Abroaders Podcast, a regular audio show of the Abroaders community. Abroaders is a membership business that shows people how to travel hack and use Air Miles properly. I’m one of the few bloggers in the travel-related niche that doesn’t talk much about Air Miles. It’s a topic that hundreds of other bloggers have covered. And I’m not a US citizen so my options for travelling with points are limited (and my ability to talk about this topic are even more limited). If getting free travel from air miles and points is your thing, this is a good place to get the latest news. 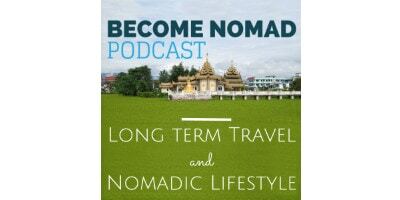 Best described as an introspective and thoughtful podcast about digital nomadism, the Become Nomad podcast by Eli (a long-term digital nomad) is always high on my list of listening priorities. Eli publishes episodes at random intervals but they’re well thought out, full of insights into the digital nomad lifestyle, and always get me thinking. It’s the sign of a good piece of content when you continue to ponder the questions raised long after you’ve consumed them. With interviews with inspiring women ranging from cruise ship captains, travelling chefs, and authors who take inspiration from travel, the Women Who Travel podcast touches on a wide range of fascinating topics. This is a show for anyone interested in travel. Guys, it’s okay to listen. In fact, I recommend you do so. 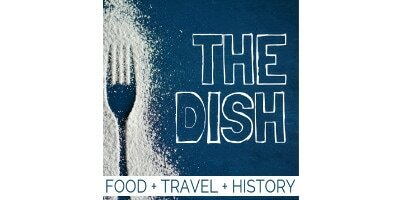 The Dish is a podcast that looks at cuisines, iconic dishes, and cooking from around the world. The weekly podcast offers tips on what to eat in different parts of the world. Episodes cover topics like the cultural history of Cuban cuisine, the story of real Italian tortellini, what to eat in Thailand, and Mayan food history. It’s a mish-mash of cooking and history and is well worth listening to if food is one of your motivations for travel but you want to understand the culture and backstory behind famous world dishes. Many shows dip into the travel niche every once in a while. Sometimes these podcasts are pure gold. I’ve included them below along with some photography-related episodes I’m sure you will love. Travel Writing 2.0 With Tim Leffel on the Creative Penn Podcast. Tim Leffel is one of my favourite travel personalities. He’s also a very productive blogger, running three different travel-related websites, and contributes to several others. Tim also built and sold a travel gear blog. Joanna Penn’s podcast features authors and writing industry insiders from any genre, but for this episode, Joanna discusses the art and craft of travel blogging with one of the original bloggers in the niche. Mike Spencer Bown is one of the most travelled people you will ever meet. He began his travels over 20 years ago. Despite spending extended periods in countries to live and work, Mike is a perpetual vagabond. He’s been everywhere. And he has a lot of stories to tell. Check out this episode with Mike on the Story Untold podcast. If you take photos when you travel (who doesn’t?) this episode appeared on the Great Escape Radio podcast is a must-listen. Travel Photography 101 on the aforementioned Zero To Travel podcast is one of the best episodes I’ve heard on how to take amazing travel photos. And listen up if you’re interested in making money from your photos. Professional travel photographer Travis Longmore dives into the how and why of selling your work. He also discusses technical aspects like F-stops, aperture, and ISO in an easy-to-understand way. I learned more about travel photography from this episode than from the books I’ve read on the topic.